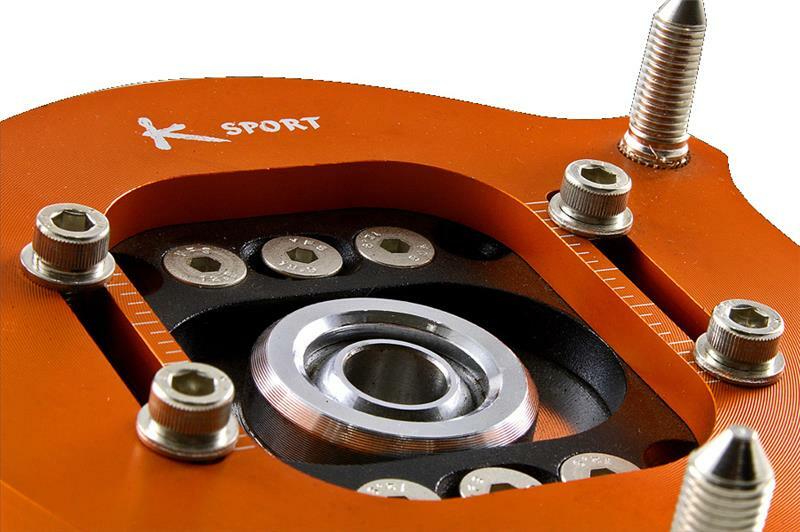 Ksport Advanced pillowball upper mounts are designed for the Ksport coilover system and improve responsiveness for any application. 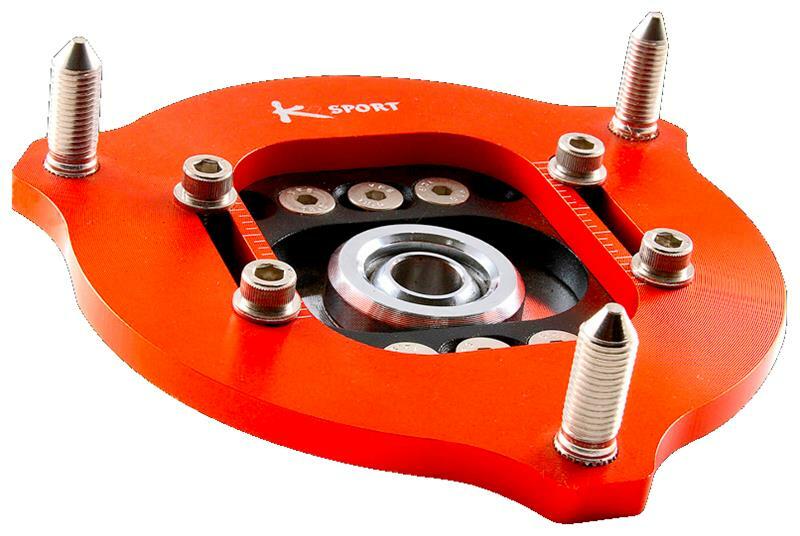 These mounts allow for both camber and caster adjustment for the ability to dial in your suspension geometry to your needs. These mounts replace the stock rubber or plastic mounts to reduce flex and improve performance. The angle of the contact patch of the tire is changed improving handling when installed on the coilover.